With everything that's going on in Cleveland's fine dining, drinking, and culture, you might wonder how Clevelanders find the energy to keep up with it all. 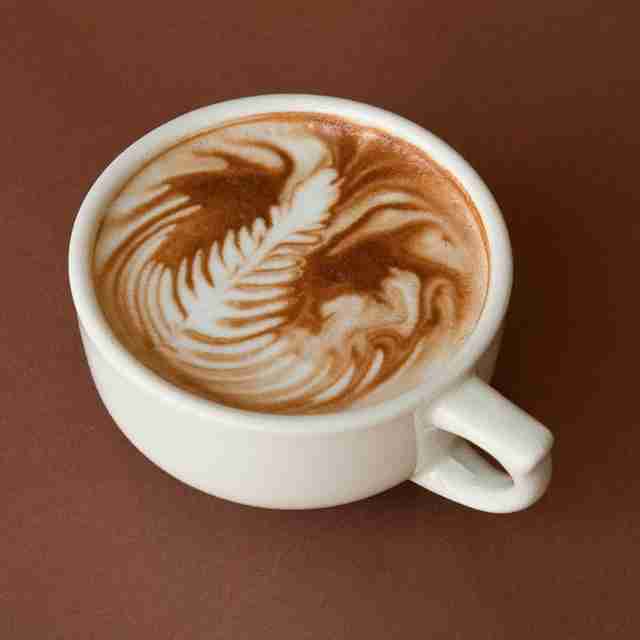 The answer: our nationally recognized coffee houses. Here are the city’s 12 best places to host a meeting, work on your bottom-drawer novel, or impress your brainy-looking OKCupid match. 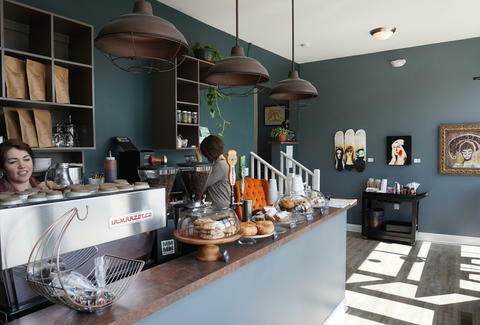 The newest addition to Cleveland’s coffee offerings, Six Shooter has an understated interior that is intimate without being cramped. Here, enjoy flavorful, locally roasted coffee -- the Brazilian roast is deliciously light and sweet -- as well as kombucha on tap. It’s part of the Waterloo District (North Collinwood to old-school Clevelanders), a truly funky part of town that’s sprung up around the Beachland Ballroom. Stop down the street to try some Caribbean food at Callaloo Cafe, peruse the galleries at Waterloo Arts, and sift through records (and say hi to Vinyl the cat) at Music Saves. The Root Café is one of those places that could be insufferable, but is refreshingly the opposite. It’s spacious and a little funky, with mismatched tables and chairs and art on the bathroom walls. Local and organic isn’t just a trendy slogan for Root Café: it makes hearty and inventive vegetarian and vegan sandwiches (try the Clevo!) that will entice even the most ardent meat-eaters in Greater Cleveland. The coffee (ours was served in a weirdly pleasing square-ish mug) comes from Rising Star and duck-rabbit, whose shop near Ohio City is set to open as early as next month. You can bring your parents, your grandparents, and your hippest of hipster friends to Root, and they’ll all find something to like. If numbers are how we’re measuring, then Phoenix is coffee king in Cleveland. It has four locations in the city, each one serving coffee it’s been roasting locally for 25 years. Ohio City’s location has a patio with a great view of the neighborhood’s historic houses. Coventry’s has the friendliest staff in the city, and is a great spot to crack open the book you just picked up from Mac’s Backs. Lee’s is a quieter spot, ideal for a post-date discussion of the arthouse film you saw at Cedar Lee. And regardless of your opinion on gluten-free products, try the Salted Double Chocolate Cookies from Uncommon Grains. They just might make you a believer. 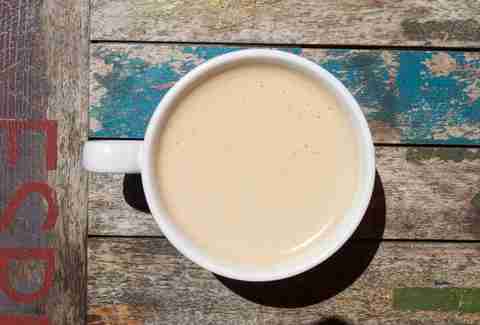 The emphasis at Vintage Tea & Coffee is on tea, but don’t sleep on the coffee. The dedicated staff here will tailor your cup or espresso shot (made from coffee sourced locally and nationally) to your taste. A short walk from Cleveland State, Vintage seems to have remained something of a secret. It’s a stripped-down, unassuming modern space that’s great for reading, and serves authentic Taiwanese bubble tea. The variety of and dedication to tea evident at Vintage is impressive. We're not planning a hard switch from coffee any time soon, but if we were, Vintage would be the place to start. You can find Rising Star’s coffee served at a lot of local establishments these days: Blackbird Baking Company, Fire, even Root Cafe and Vintage (two of the other shops on this list). 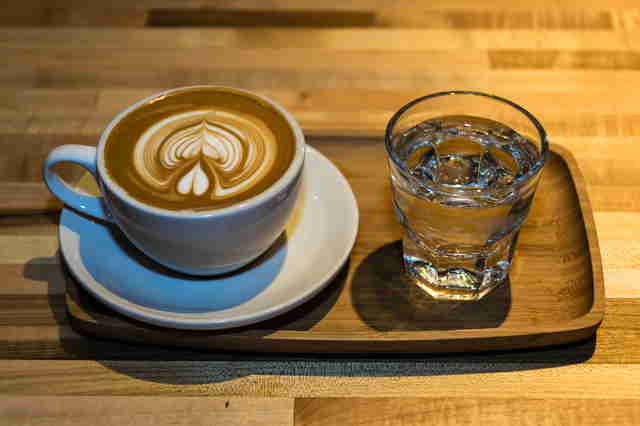 However, espresso is the star of the show at its Hingetown location. Order a shot like the Biloya and the knowledgeable staff will serve it to you on a board with some seltzer water -- you’ve got to cleanse that palate, son! -- and will gladly tell you about the flavor notes and acidity profile. It’s an experience akin to drinking at La Cave du Vin or one of Cleveland’s other fine wine bars. There is a patio that’s perfect for Cleveland’s all-too-brief spring and summer months, and there’s a location in Little Italy to help jolt you out of your alfredo-induced coma. It’s hard to get much cooler than a combination coffee shop/record store. Especially if that business happens to be in Tremont, one of Cleveland’s coolest neighborhoods. Dave Foran, LOOP's owner and roaster, has created some sweet roasts through experimentation and deviation from the norm. The West Coast Espresso is pleasantly fruity and light, and the Fairfield is highly recommended for black-coffee lovers. LOOP's downstairs features a curated music selection with great deals and an emphasis on up-and-coming local artists. The upstairs is a necessity for record collectors. This coffee house provides something of a, well, island from the bustle of the East Fourth corridor. 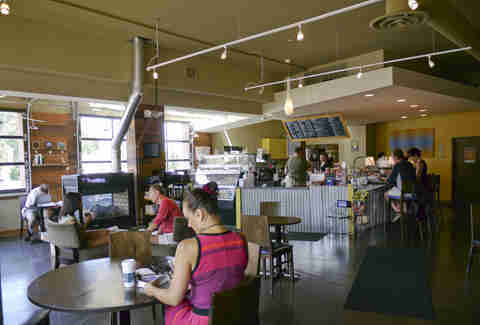 Its local roasts have received much acclaim, but the baristas are inventive with lattes, as well. Wait for them to bring back the maple root beer latte when the weather turns cold again. Grab a seat by the window when you go -- the East Fourth location (within feet of some of the best restaurants in Cleveland) makes it an ideal spot for people-watching. Check out the Rocky River location for an easier time parking. One of the coolest things about The Coffee House, a campus favorite for Case Western students, is its location. As the name implies, it’s in an actual house, which lends to the quiet, studious atmosphere. There’s a great variety of tea on the menu, and the Cafe Voltaire presents a potent combination of Ghirardelli chocolate and espresso. The Coffee House is within walking distance of the Cinematheque, the Cleveland Museum of Art, and several other of Cleveland’s most important cultural locations. It’s also a stone’s throw from the Barking Spider, one of the best dive bars in Cleveland, so that you can study for a few hours before getting your reasonably priced pitcher of Great Lakes. Deweys is a Shaker Square institution. Its vibe is relaxed and unpretentious, and its crowd is as diverse as Shaker Square itself. Deweys is doors away from Fire and Edwin’s, two of the city’s most important restaurants, and it’s a short and scenic walk from there to Loganberry Books, one of the city’s best independent bookstores. Plus you can get some ice cream to go with your coffee from Chagrin Falls’ Popcorn Shop, which is a combo that’s hard to beat. The emphasis in the Cleveland coffee scene -- hell, in pretty much every Cleveland scene -- is on local. Pour takes a different tack. It sources the roasters it serves from all over the world, assembling an international all-star team of coffee right here in CLE. You won’t find rows of sugary flavored syrups or tons of baked goods at Pour, but you will find a featured list of coffees, switched out every one to two weeks, from as far as Norway and Germany. The pour-over method used to make your cup takes extra time, but was well worth it for the honey and peach flavors it brought out in our El Diamente blend. 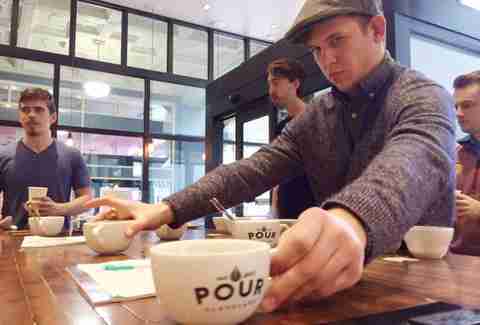 Stop in Saturdays at noon for coffee cuppings (the caffeinated equivalent of a wine tasting) to expand your palate. Even though the West Side Market, GLBC, and Market Garden are practically around the corner, the part of Columbus Rd that duck-rabbit inhabits feels intimately secret; except that it's not -- Velvet Tango Room staked out its new neighbor's digs years ago, but that's fine. We'll just consider this the quality corner of Cleveland drink-making. As VTR is careful to craft subtle, creative cocktails, duck-rabbit is roasting its own beans and serving pour-overs and espresso drinks with intense, scientific consideration, bringing out the delicate wine-like qualities of coffee. The menu is simple, but who needs 15 drinks to choose from when the five there are perfect? Billy Hallal is a writer, college instructor, and occasional barback in Cleveland and the surrounding areas. He has a crush on most of the baristas in Northeast Ohio. You can find some of his thoughts on things on Twitter @HillyBallal.